1999 - 2000 - Art Exhibition of The College of Fine Art. 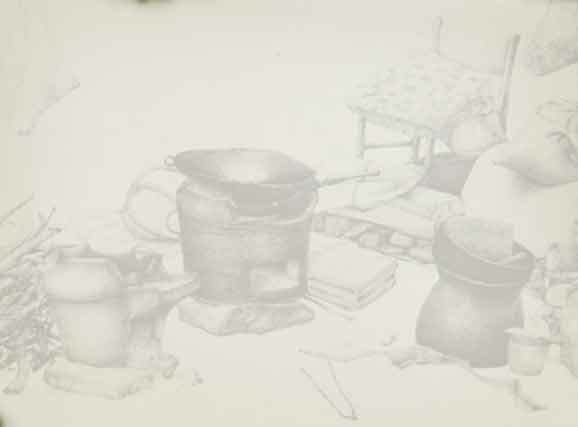 2001 - 2002 - Art Exhibition of Silpakorn University (Drawing). 2002 - Art Exhibition of Silpakorn University (Thai Art). - Art Exhibition “Nai Luang Nai Duangchai Khong Sinlapin”. - Art Exhibition of Young Thai Artist Award 19th. 2003 - Art Exhibition of Silpakorn University (Thai Art). 2004 - Art Exhibition “Thai-Burma Exchange Program” at Thailand Cultural Center. 2005 - Art Exhibition of Silpakorn University (Thai Art). - Art Exhibition “The 20th PTT”. - Art Exhibition, Traditional Thai Art Section, 27th Bua Luang (Bangkok Bank). - Art Exhibition “Naris Day” at Plai Noen Grand Palace. - Art Exhibition “Young Thai Artist Award 22nd”. - Art Exhibition “The 17th Toshiba: Brings Goods Things to Life”. - Art Exhibition “The 51st National Exhibition of Art”. - Art Exhibition “Amata Art Award 2005”. 2006 - Thesis Art Exhibition Painting Faculty, Silpakorn University, Bangkok, Thailand. - Art Exhibition “The 2nd Thai orchid in Thai”. - Art Exhibition “The 21st PTT”. - Art Exhibition, Traditional Thai Art Section, 28th Bua Luang (Bangkok Bank). - Art Exhibition “Amata Art Award 2006”. - Art Exhibition “The 18th Toshiba: Brings Goods Things to Life”. 2007 - Art Exhibition “Self Artist Portrait” at Art Space, Silom Galleria, Bangkok, Thailand. - Art Exhibition, Traditional Thai Art Section, 29th Bua Luang (Bangkok Bank). - Art Exhibition, Kasikornbank Painting Competition in the Celebrations on the Auspicious Occasion of His Majesty the King’s 80th Birthday Anniversary 5th December 2007. 2009 - Art Exhibition “Life” at The Nation Gallery, Bangkok, Thailand.